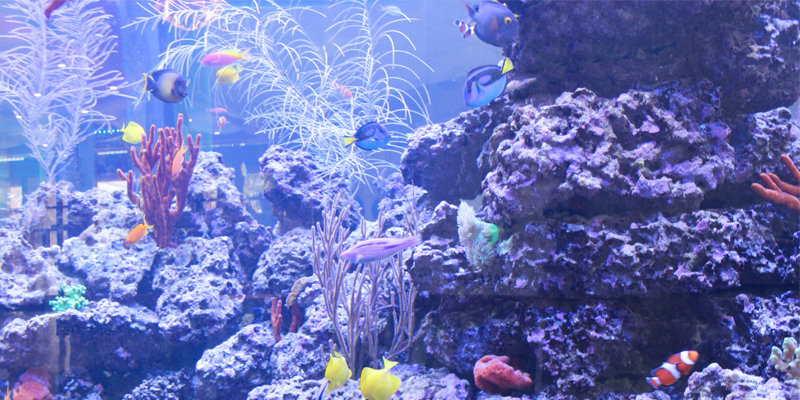 Our spectacular 8,000 gallon living coral reef aquarium is the largest aquarium of its type in the Mid-Atlantic Region. It is home to 250 colorful marine fish and 150 live soft and stony corals. The living coral reef system will grow and changes over time and offers exceptional SOL compliant educational value, as well as providing enjoyment for all those who visit and observe. Exciting new technologies with interactive screens provide a learning experience for everyone. The mention of coral reefs generally brings to mind warm climates, colorful fish and clear waters. However, the reef itself is actually a component of a larger ecosystem. The coral community is a system that includes a collection of biological communities, representing one of the most diverse ecosystems in the world. They are like undersea cities, filled with colorful fish, intricate formations and wondrous sea creatures. The importance of coral reefs, however, extends far beyond the pleasure it brings to those who explore it. Coral reefs play an essential role in everything from water filtration and fish reproduction to shore line protection and erosion prevention. Coral reefs are one of the most biologically diverse ecosystems on earth, rivaled only by tropical rain forests. 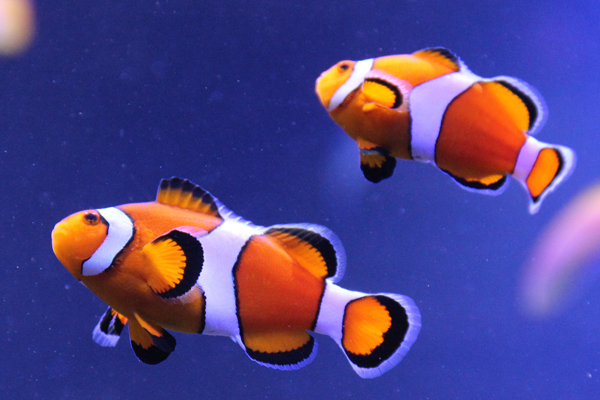 Sea creatures that call this aquarium home include gorgonians, marine sponges, sea cucumbers, snails, hermit crabs, sea biscuits, sea stars, and more. We are proud and grateful to have a wonderful donor who has sponsored the large aquarium. This will be the largest aquarium of its type in the Mid-Atlantic Region. The Amazon River is the widest river in the world and at any point in time has the highest volume of water flowing down it. During dry season the river can be 6 miles wide and during the wet seasons it can be 25 miles wide! The Amazon River Basin triples throughout the year between the dry and wet seasons. The Amazon River flows into the Atlantic Ocean and is responsible for 20% of the freshwater input throughout all oceans worldwide. This magnificent river is a very important to South America. It drains nearly 40% of South America and is the lifeline to one of the world’s largest ecosystem, the Amazon Rainforest. The basin and rainforest are incredibly important to the local and global climate. The Amazon Rainforest acts and a carbon dioxide sink, taking in nearly two billion tons of carbon dioxide each year. The rainforest also absorbs heat which helps with the creation of tropical storms. Tropical storms are important in redistributing heat around the globe. The Amazon Rainforest is a major force that drives atmospheric circulation, which is why it is important to help protect the Amazon Rainforest and Amazon River. In addition to supporting the biodiversity of the Amazon Rainforest the Amazon River also supports diverse wildlife. 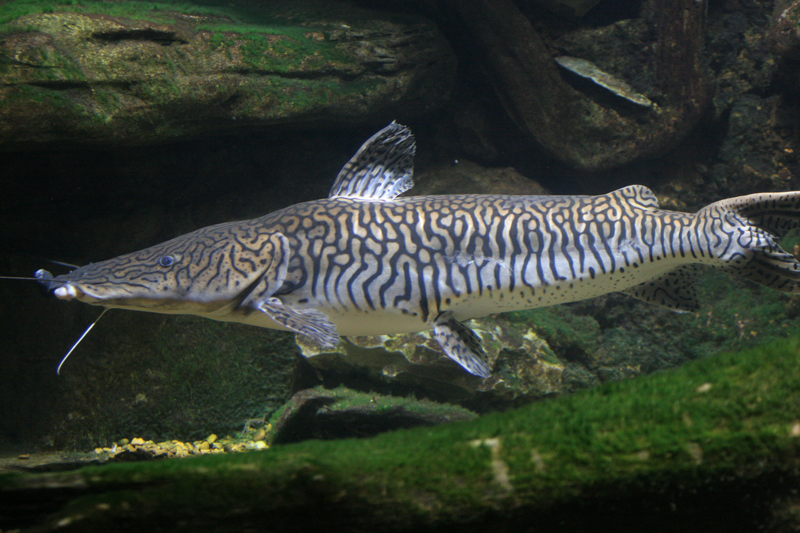 River dolphins, anacondas, piranha, and some thousands other fish species call the Amazon River home. The Amazon River also has economic significance. While the Rainforest supplies wood and other natural resources the Amazon River allows commercial fisheries to generate income. 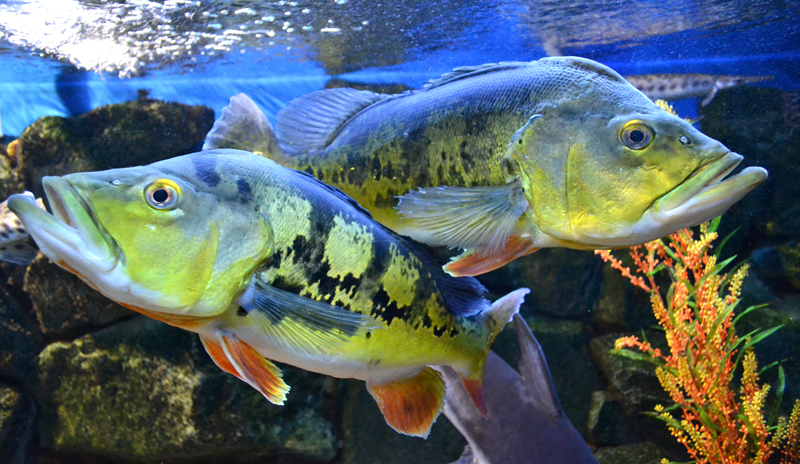 Some large ornate predatory fish have become popular in aquarium trade. Fishermen will go out in hand carved canoes, or dugouts. Their fishing provides income which takes pressure off the South American cities, and the timbering of the Amazon Rainforest. In addition to exporting fish for educational and personal aquariums, many tourists have taken an interest in the Amazon River as well. Many people travel to the Amazon River for fishing. 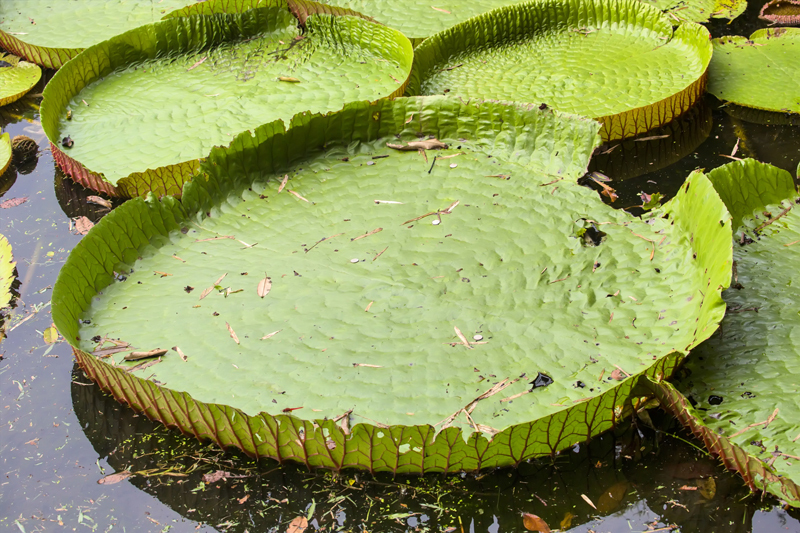 The Amazon River and Amazon basin support the ecosystem as well as economy. These ornate fish like to hang out near the surface and can grow up to 3 feet long in the wild. They have an elongated body with a wedge shaped head. Arowana are visual hunters, in the wild they can jump out of the water and catch insects hanging out on low hanging branches. They have a characteristic underhang jaw. This will open like a trapdoor whenever it feeds. You will notice the two barbels hanging from their bottom jaw, these are sensory organs that detect water movement on the surface. These fish are mouth breeders. The male will carry the fertilized eggs in his mouth for 50-60 days. 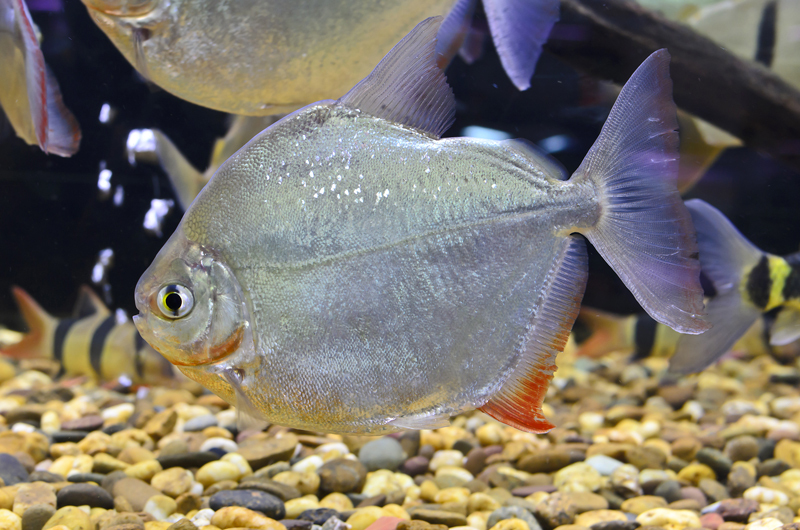 These Amazon fish have become very popular in Aquarium Trade. 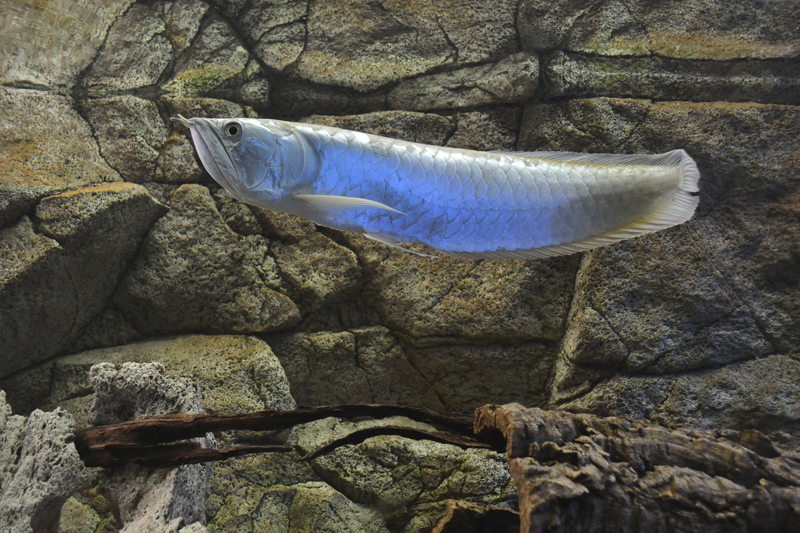 The Silver Arowana (Osteoglossum bicirrhosum) calls this tank home. Arowana can vary in color and some colors are rarer than others. The Platinum or White Arowana can be sold for 400,000 dollars! The Turtles of Virginia aquarium features several species of turtle that live in the lakes, creeks and rivers of Western Virginia. It has become an instant crowd favorite. 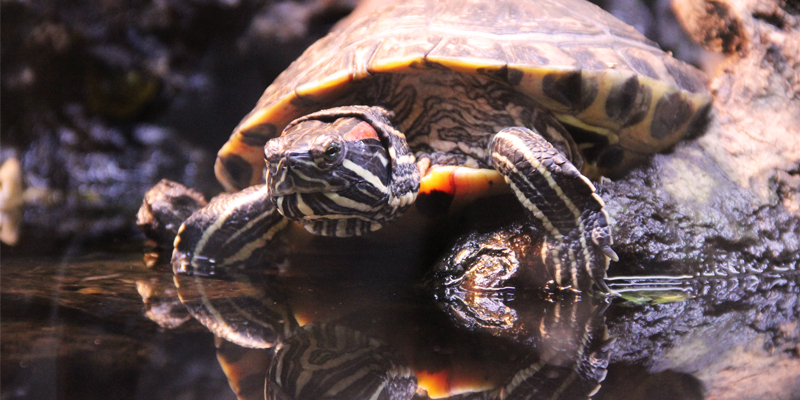 Current residents of the aquarium include a Map Turtle, two Painted Turtles and a Red Eared Slider. The turtles take turns swimming and resting on a 300 lb piece of driftwood collected from the side of the river. They are already eating from the hands of Center’s Aquarium curators! The Map Turtle gets its name from the markings on its underside, which resembles those on a map or chart. The Map turtle is found from the southern United States to Canada, mostly on larger lakes and rivers. 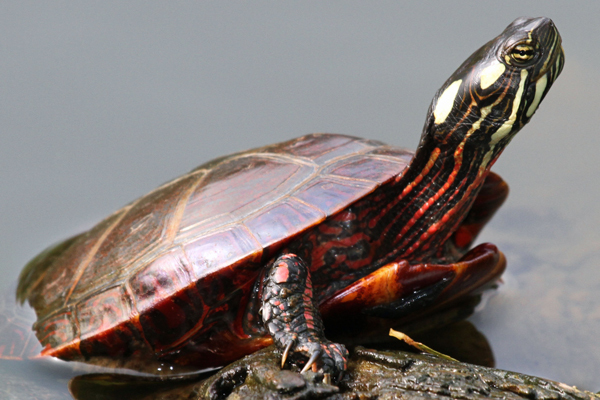 The Painted Turtles are named for the beautiful red and green markings on their undersides. Adults reach 5-7 inches, meaning the turtles at Center in the Square are nearly full grown. 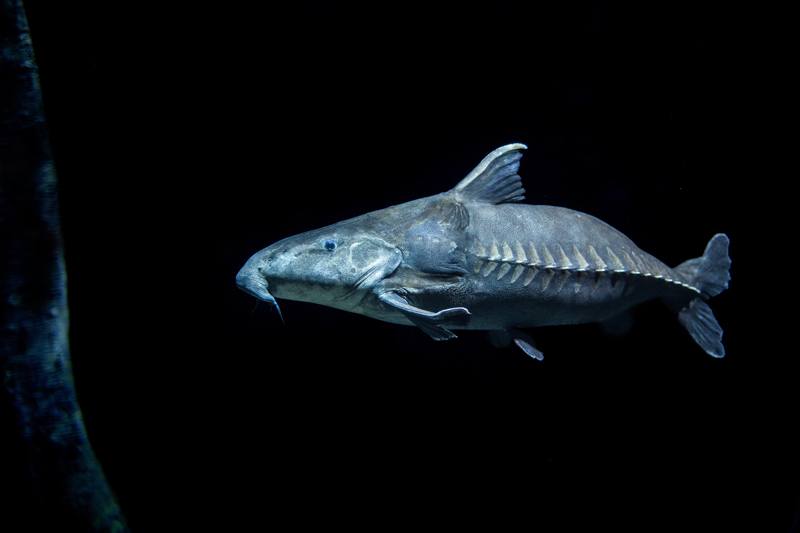 They can be found in local rivers, creeks, lakes and ponds. Red-Eared Sliders get their name from the small red dash around their ears. The “slider” part of their name comes from their ability to slide off rocks and logs and into the water quickly. This turtle is among the most popular pet turtles in the world, and has become a part of the native wildlife after pets either escaped or were released by their owners.